The modern Chinese rules allow payments to the winner only: there are no payments between the losers. Accordingly, only the winner must display his hand after a deal is over. The winner is responsible of arranging his hand in a way that makes it clear which sets it is composed of, melded sets placed above the sets in the hand. The winner should mark the winning tile by placing it at right angles to the others (or slightly apart from the rest of the hand). If a concealed portion of the hand can be arranged in more than one way, a player is free to arrange it in a way that results in the best scores. 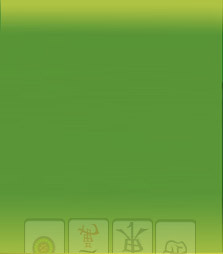 E.g., if a player is calling with Bamboo 2-2-3-3-4 and any pair, and the winning tile is Bamboo 4 (either self-drawn or discard), a player is free to arrange his hand so that the winning tile is considered to complete a Pung of Bamboo 2, rather than a Chow 2-3-4 (both arrangements are possible but the previous would pay extra faans if the remaining three sets were triplets, as well). In Taiwanese Mah Jong the only scoring unit is tai (equivalent to faan), which is used as a point-unit. Accordingly, the final score of the hand is simply the total of tais earned by its composing patterns. Possible conversions to monetary values are not a rule-specific issue, but – if necessary – must be negotiated by the players before the game is started. Note: As this is a winning hand, scores for any other patterns are ignored. Note: Considered as a winning hand, so scores for any other patterns are ignored. Note: Concealed Kongs are allowed, as well. Note: Implies One-chance hand and Out on a pair. Note: Concealed Kongs are allowed as concealed sets. Note: Concealed Kongs are allowed as concealed sets. Implies Self-drawn last tile. Always implies Concealed hand. *) Paid if the pattern is concealed.